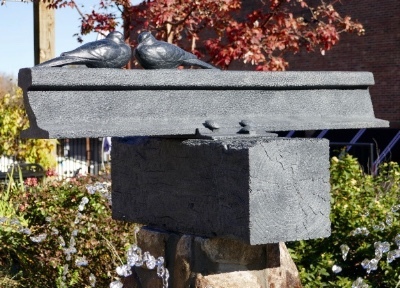 "A Love Story in Stone"
As we move toward spring (finally), we are so grateful for all of our friends and family. Next month we celebrate our 2 year wedding anniversary and while it seems just yesterday we met... It feels like we have been together forever (in a good way). And we could not have achieved our goals without you. 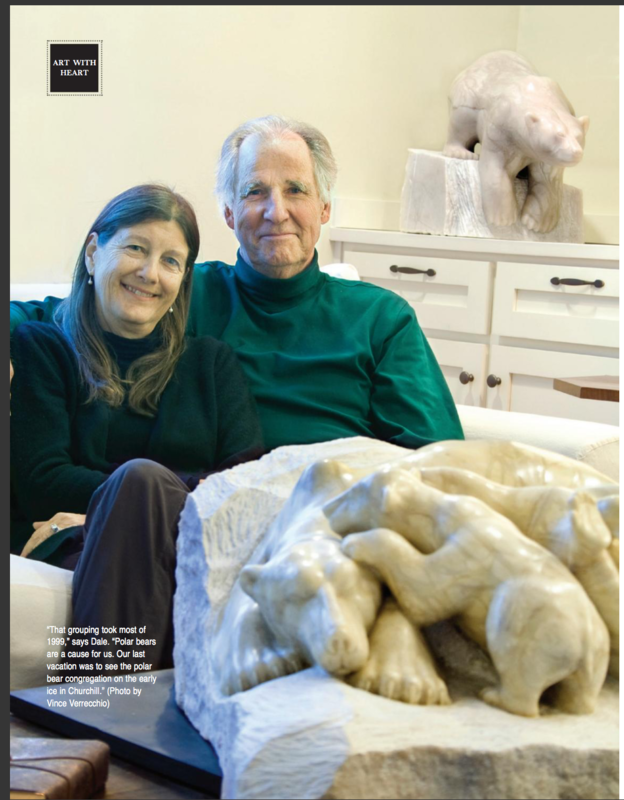 On Valentine's day, it seems appropriate to share "A Love Story in Stone" about our love story. This fun article was written by Vince Verrecchio and published in one of our local magazines. Hope you enjoy and let us know your thoughts. All net proceeds benefit the NC Zoo and their amphibian conservation projects. 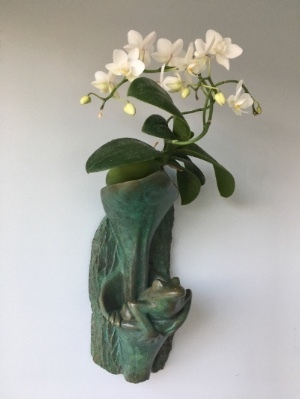 The bronze frog is also functional art, holding water in the top for cut greenery or even an orchid (as shown here). Please consider buying a Jumpin' Jack for that special person on your Valentine list. Get a great Weiler original and support wildlife for only $2,000 (plus tax and shipping). There are only a few left so contact us today to purchase one. The frogs say thank you! 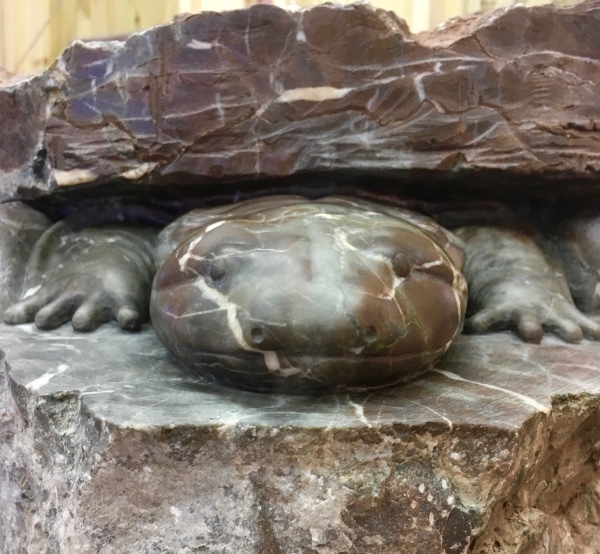 "Hellbenders Rock" will be installed in a new hellbender exhibit on May 8th, 2018 at the NC Zoo. The event should be lots of fun so if you can join us in Asheboro, email us and we will be sure to get you an invitation. And to learn more about this amazing creature check out Hellbenders on our website. 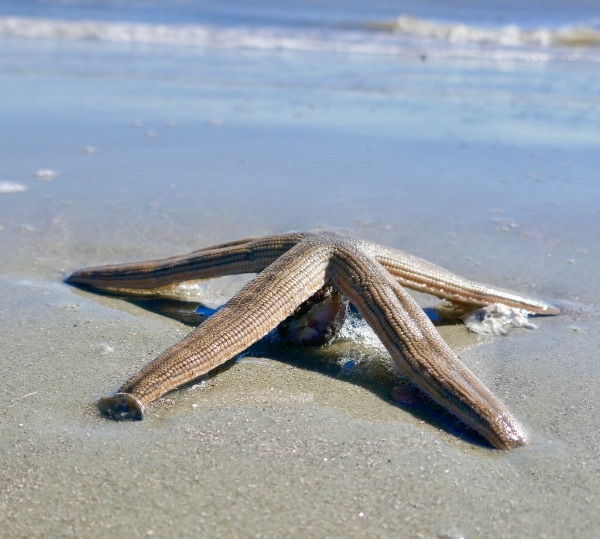 A trip to the beach awakened our curiosity about starfish and horseshoe crabs. 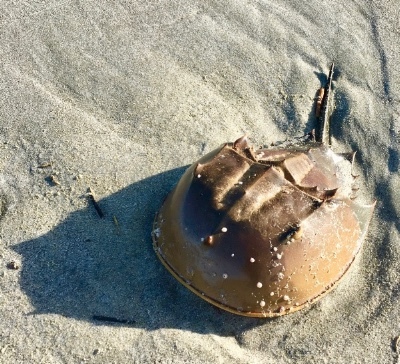 For some fun reading, check out our blog Your Life Depends on Horseshoe Crabs. And so does your dog's! And What do starfish and elephants have in common? You might be surprised. We were. 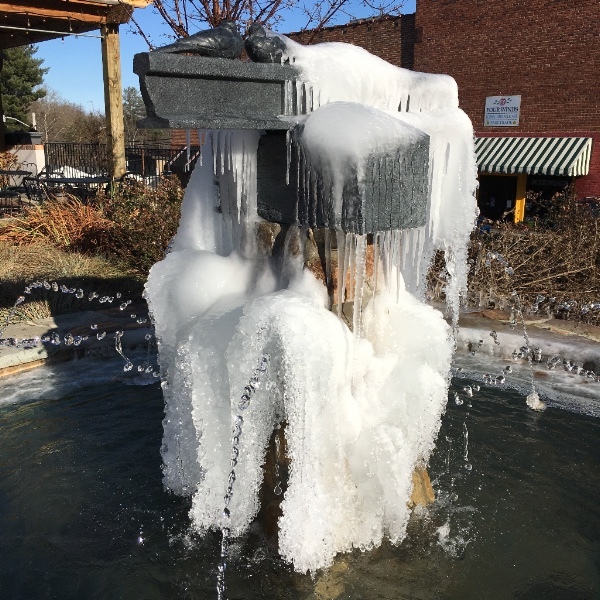 Dale's sculpture, "Tails to Rails" was installed last fall in downtown Tryon, only to spend some of its first winter covered in ice. It is now thawed out and eagerly awaiting spring with the rest of us. That's all for now. We wish you a Happy Valentine's Day! And please share our newsletter and website with any friends interested in conservation. Thanks so much. Copyright © *2017* Weiler Woods for Wildlife, All rights reserved.